Have you ever wondered how Hollywood’s leading ladies keep their hair healthy and strong on the Red Carpet during Award’s season? All of those “touch-ups” and even mid-show style changes! That is some rough going on gentle locks for sure! Well, apparently the answer to this question is contained within a tube… the secret to long-lasting lovely locks seems to be ghd’s Advanced Split End Therapy. This magic restores hair by nourishing dry damaged ends and replenishing overworked tresses. 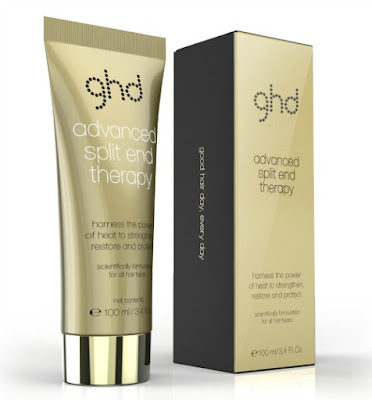 Unlike other hair treatments, the Advanced Split End Therapy ($28) features the ghd Thermo-Marine Bonding System, which is activated by the heat of your styler to bind broken hair fibers together to smooth and seal the hair, leaving hair feeling sleeker, smoother, and shinier for up to 10 washes. Fortify hair from styling damage and environmental stress for A-list hair all winter long. Hmmm… sounds amazing right about now. Okay, are you ready for the GTL for Khloe Kardashian, Kerry Washington, and Olivia Culpo? 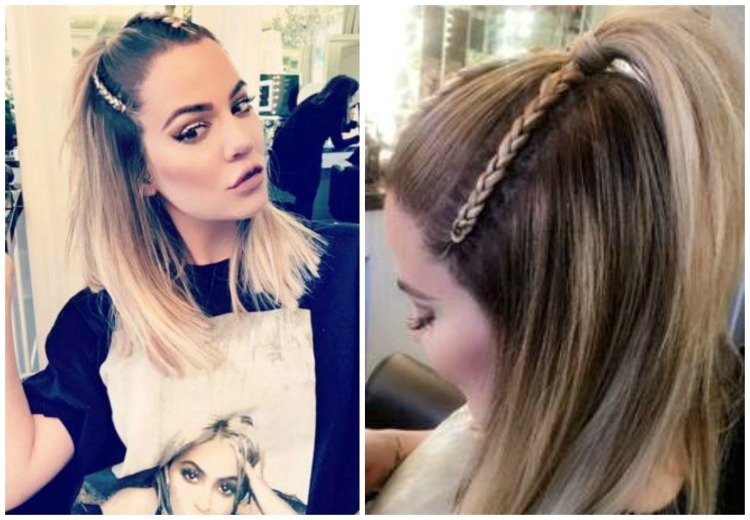 We are OBSESSED with the half-up braided hairstyle ghd Brand Ambassador Justine Marjan created for Khloe Kardashian. Step 1: Prep damp hair with TRESemmé Keratin Smooth serum then blowdry with a smoothing brush and the ghd air hairdryer ($199). Step 2: Create the partings for 3 braided sections, one on either side of the eyebrow, and one at the center parting. Step 3: Add styling pomade to each sections, then create a braid to the crown of the head and clip away. Step 4: Once every section is braided, add pomade to the sections between the braids then comb into a half up hairstyle and secure with an elastic. Step 5: Flat iron the rest of the hair with a ghd platinum styler ($249), then use more serum through the ends. 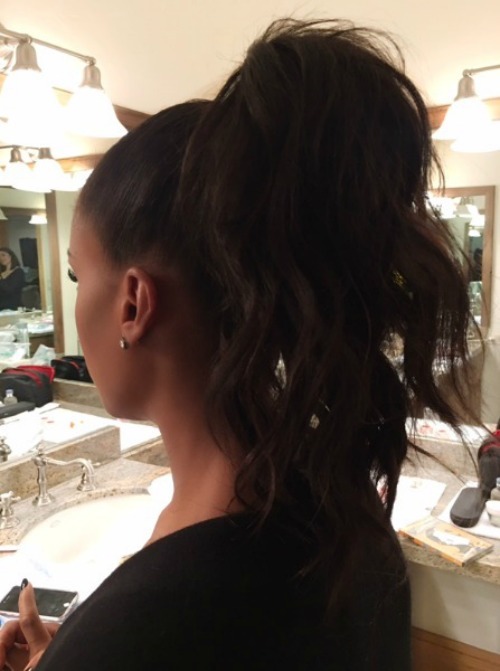 Justine Marjan was busy creating this season’s hottest hairstyles at the Sundance Film Festival for Kerry Washington and Olivia Culpo. Check out these tips on how Justine created Kerry Washington’s voluminous, textured ponytail and Olivia Culpo’s edgy, dutch braid ponytail. Step 2: “ Next apply smoothing pomade to the roots then create a Dutch Braid on either side of the middle part. When the braid reaches the crown of the head, create a 3-strand braid to the ends and secure with an elastic. Apply more pomade to the roots of the rest of the hair then use a fine toothcomb to gather into a high ponytail. All ghd Hair products are available online at ghd and Sephora. Thanks for the info about GHD! Great article!